Here's a list of the actors and some information about them..!! Elijah Jordan Wood born on 28 january 1981 in Cedar Rapids, IA, has grown up to be one of the most well respected and steadily employed actors of his generation. Elijah modeled and did local commercials before moving with his family to Los Angeles in 1988. It was there that Elijah got his first break, a small role in a Paula Abdul video. Film work almost instantly followed, with a bit part in the 1989 Back to The Futere ||. Some of his movies are: Try Seventheen, Ash Wednesday, Deep Impact, The Faculty, The Ice Storm, Flipper, North, The Good Son and Forever Young. Sean was born in Santa Monica, CA, on February 25, 1971. His famous parents actively supported his childhood ambition to become an actor, and Sean was cast in TV specials, movies, and even series until 1983. He even had starred in ten movies, directed a short film, and formed his own production company all before his 21st birthday. Other film credits include Bulworth, Courage Under Fire, Memphis Belle, Encino Man, Like Father Like Son, Where the Day Takes You, Staying Together, War of the Roses and Safe Passage. Sean received Best Actor honors for his performance in Low Life at the Fort Lauderdale Film Festival. He made his professional debut with his mother, Patty Duke, in the television After School Special "Please Dont Hit Me Mom." A promising director, Sean garnered an Academy Award nomination for his short film Kangaroo Court, which he also co-produced with his wife, Christine. 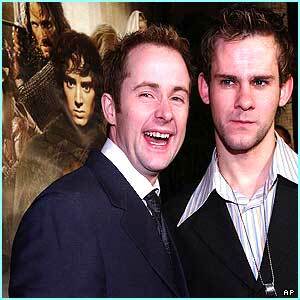 Dominic Monaghan, who will be introduced to international film audiences in The Fellowship of The Ring, is best known for the British television drama Hetty Wainthrop Investigates. His other television credits include "This is Personal -The Hunt for the Yorkshire Ripper," and a leading role in Monsignoir Renard, a new series starring John Thaw. Doms film debut was in Boomber with Rutger Hauer and Martin Shaw. On the stage, Dominic has performed in the U.K. productions of The Resurrectionists, Whale and Annie and Fanny from Bolton to Rome. 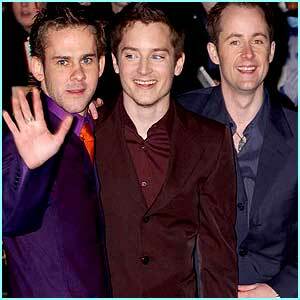 Billy Boyd, born on 28th August 1968 and a native of Glasgow, Scotland, began his acting career in the Scottish television series Taggart. He went on to amass UK television credits including Soldiers Leap, Coming Soon, Julie and the Cadillacs, and "Chapter and Verse. 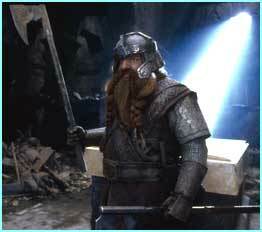 Boyd made his feature film debut in An Urban Ghost Story, but will first be seen by international audiences in The Fellowship of The Ring. On the stage, Billy has performed in various UK productions including The Speculator, Election 99, An Experienced Woman Gives Advice, Therese Racquin, Britannia Rules, Kill The Old, Torture Their Young, The Chic Nerds, Much Ado About Nothing, Merchant of Venice, and Trainspotting. Billy is also a skilled musician who plays the bass, drums and guitar as well as singing both baritone and tenor. Sir Ian McKellen has been thrilling audiences for 40 years on both stage and screen, and has won over 40 major acting awards. Born May 25, 1939, in Lancashire, England,he made his film debut in 1969 with a small role in The Promise. Sir Ian McKellen was not familiar to most American audiences until the '90s, when he began popping up in a number of well-received films. One of these, Gods and Monsters elevated the actor into the international spotlight when he earned an Oscar nomination for his portrayal of Frankenstein. Sir Ian McKellen has also starred in telefilms "Rasputin" (Golden Globe for Best Supporting Actor), "And the Band Played On" (Cable Ace Award), "Walter" (Royal Television Performer of the Year) and, most recently, "David Copperfield" for BBC TV. His many stage performances are legendary. He has acted in and produced classical and new plays for the Royal Shakespeare Company and the Royal National Theatre in London and on tour. His solo shows "Acting Shakespeare" and "A Knight Out" have been acclaimed throughout the world. On Broadway, he played Salieri in "Amadeus" (1981 Tony Award for Best Actor). The 2001 Broadway season opens with Ian McKellen as Edgar in Strindberg's "Dance of Death." Orlando Bloom began reading J.R.R. 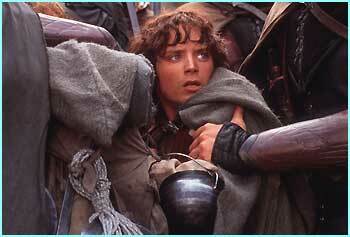 Tolkien's The Lord of the Rings trilogy as a teenager before abandoning the books in favor of sports and girls. He did not complete the three volumes until his early twenties: first in print, and then on camera as one of a handful of actors carefully selected for New Line Cinema's highly anticipated, 270-million-dollar, three-film screen adaptation of Tolkien's The Lord of the Rings. 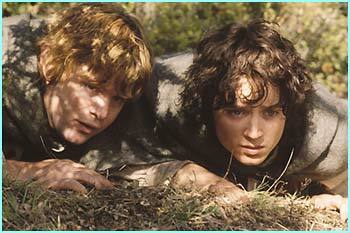 The international success of the trilogy's first installment, The Fellowship of the Ring (2001), made Orlando a sought-after young actor. The talented Brit works the talk show circuit, mugs in magazines, and appears at every important award show -- always with a playful demeanor and an uncorrupted smile that suggest he could still be just as easily fulfilled by rugby and romance. 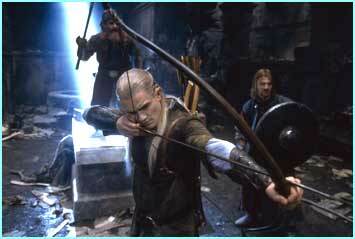 Orli, as his friends call him, was raised in Canterbury, Kent, with his younger sister, Samantha. Born on 13 january 1977, he went on his 16th to London and performed with the National Youth Theatre for two seasons before winning a scholarship to train with the British American Drama Academy. At the conclusion of his term with the group, he played the lead in A Walk in the Vienna Woods, and secured an agent. This led to small roles on British television and an appearance in Wilde(1997). Wishing to further his education, Orli then enrolled at London's prestigious Guildhall School of Music and Drama. Liv Tyler made an auspicious film debut with the leading role in Silent Fall, directed by Bruce Beresford. Born in Portland, 1 July 1977, to model and former 1970s rock groupie Bebe Buell, Liv spent most of her youth believing that rocker Todd Rundgren was her father. However, as she grew older, she began to notice more than a passing resemblance between herself and Aerosmith frontman Steven Tyler, who was a family friend, and she ultimately discovered that he was indeed her biological father. When she was 12, she took Tyler's last name as her own. After appearing on the covers of magazines like Seventeen and Mirabella, Liv got her first taste of acting while filming a television commercial. She made her film debut in 1994, as the sister of an autistic boy in Silent Fall, appearing in the mystery alongside with Richard Dreyfuss and Linda Hamiton. Some of Liv's other movies are: Jersey Girl, One Night At McCool's, Armageddon, Stealing Beauty, U-turn and Heavy. Before enrolling in the Royal Academy of Dramatic Art, Sean Bean was going to enter his father's Sheffield steel fabrication business as a welder. He changed his mind after he garnered praise for acting in a few roles in local theater while taking an art class at Rotherham College. Sean received a scholarship to the prestigious academy and graduated a few years later with the Silver Medal for his performance in Waiting for Godot. Shortly thereafter, Sean performed in several West End productions. He also appeared in Romeo and Juliet with the Glasgow Citizens Theatre and with the Royal Shakespeare Company at Stratford-upon-Avon. In the first he played Tybalt and in the second he played Romeo. Following more stage experience, Sean made his feature film debut in 1986 in Carvaggio. Two years later, after returning to the stage, Bean appeared in Stormy Monday and in War Requim. In addition to his filmwork, Bean also has a thriving television career that began in the mid-'80s. Notable television work includes Clarissa (1992) and Sharpe (1993), where he played handsome but nasty villains. It is as a "bad guy" in films such as Patroit Games and Golden Eye that Sean is best-known in the U.S. Veteran actor John Rhys-Davies has been delighting audiences on both stage and screen for more than thirty years. He began his stage work at the critically acclaimed Madder-Market Theater in Norwich and graduated from the Royal Academy of Dramatic Art (RADA). John has appeared in well over a hundred plays including 26 Shakespearean productions in which he has portrayed everyone from Othello to Macbeth to Claudius to Falstaff. His stage work includes many seasons at the Royal Shakespeare Company. John made his feature film debut in The Black Windmill starring Michael Caine, where he was blown up before the title sequence. His 80-plus film credits include Raiders of The Lost Ark, Indiana Jones and the Last Crusade, Victor/Victoria and many more. For television, John garnered an Emmy nomination for the miniseries Shogun and has starred in Sliders, The Untouchables, I, Claudius, The Naked Civil Servant and War and Remberance, as well as many other telefilms and series. Since graduating from Australias National Institute of Dramatic Art (NIDA), Cate has worked extensively in the theater: with Company B, a loose ensemble of actors including Geoffrey Rush, Gillian Jones and Richard Roxburgh based at Belvoir St. under the direction of Neil Armfield. Her roles included Miranda ("The Tempest"), Ophelia ("Hamlet") , Nina ("The Seagull") and Rose ("The Blind Giant is Dancing"). For the Sydney Theater Company (STC) she appeared in Caryl Churchills "Top Girls," David Mamets "Oleanna" (awarded The Sydney Theater Critics award for Best Actress), Michael Gows "Sweet Phoebe" (also for the Croyden Wearhouse, London) and Timothy Dalys "Kafka Dances" (also for The Griffin Theatre Company) for which she received the Critics Circle award for best newcomer. For the Almeida Theatre in 1999, Cate played Susan Traheren in David Hares "Plenty" on Londons West End. Her television credits include lead roles in Bordertown and Heartland, both for the Australian Broadcasting Commission. Her film roles include Susan Macarthy in Bruce Beresfords Paradise Road, Lizzie in Thank God He Met Lizzie, an anti-romantic comedy directed by Cherie Nowlan for which she was awarded both the Australian Film Institute (AFI) and the Sydney Film Critics awards for Best Supporting Actress, and Lucinda in Oscar and Lucinda opposite Ralph Fiennes and directed by Gillian Armstrong, a role that earned her an AFI nomination for Best Actress. In 1998, Cate portrayed Queen Elizabeth I in the critically acclaimed Elizabeth, directed by Shekhar Kapur, for which she received a Golden Globe Award for Best Actress in a Drama and a BAFTA for Best Actress in a Leading Role as well as Best Actress Awards from The Chicago Film Critics Association, The London Film Critics Association, On-line Film Critics, Variety Critics and UK Empire Award. She also received a Best Actress nomination from the Screen Actors Guild and the Academy of Motion Picture, Arts, & Sciences. In 1999, Cate appeared in Pushing Tin with John Cusack, a black-comedy about air traffic controllers directed by Mike Newell, An Ideal Husband directed by Oliver Parker and The Talented Mr. Ripley directed by Anthony Mingella for which she received a BAFTA nomination for Best Supporting Actress. She most recently starred in The Gift, directed by Sam Raimi. Hugo Weavings many film credits include The Matrix, The Adventures of Priscilla Queen of the Desert, The Interview, Bedrooms and Hallways, Exile, Strange Planet and Proof. His performance in The Interview earned him an Australian Film Institute Award (AFI) and a World Film Festival Award (Montreal) for Best Actor. Hugo also received the AFI for The Adventures of Priscilla Queen of the Desert and Proof. For television, he has appeared in "Halifax 3," "The Bite, Lust," "Bangkok Hilton," "Dirtwater Dynasty" and the mini series "The Custodian," among others. A graduate of the National Institute of Dramatic Arts, Hugo has performed in numerous stage productions including many for the Sydney Theatre Company. Christopher Frank Carandini Lee, born in Belgravia, London, entered the film industry in 1947 and was for a time under contract to the Rank Organisation. He has appeared in numerous theatre and operatic performances, television, and has recorded radio world-wide. Lee has filmed in English, Russian, Italian, French, German, and Spanish. He has appeared in over 250 films and television productions, among which the best known are A Tale of Two Cities, Dracula, The Wicker Man, The Private Life of Sherlock Holmes, The Three and The Four Musketeers, The Man with the Golden Gun, 1941, Airport 77, Gremlins II, The Legend of Sleepy Hollow, Jinnah and the BBCs production of "Gormenghast." You can see him also in Star Wars: Episode 2. He has also appeared as host of "Saturday Night Live" in 1978, the third highest rated show of the series. Christopher is the only actor who has portrayed Sherlock Holmes and his brother Mycroft, and he executed both King Charles, the First of England and King Louis the Sixteenth of France. He is an accomplished screen sword fighter, and an honorary member of three stuntmens unions. He is listed in the Guiness Book of World Records as being the international star with the most screen credits, numbering nearly 300 film and television productions, and was recently awarded the London Film Critics Dilys Powell 94 award for his work as an actor and for his services to the film industry. Ian Holm has earned respect and praise from theatre, television and film critics alike. He won a BAFTA Award, Cannes Film Festival award and an Oscar nomination for his performance in Chariots of Fire. His memorable film performances include Another Woman, Hamlet, Frankenstein, Henry V, Naked Lunch, eXistenZ, and The Madness of King George. 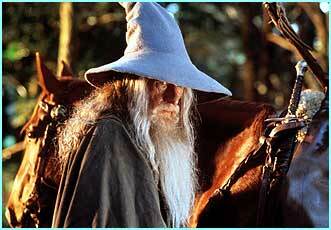 Sir Holm has also appeared in Greystoke, Kafka, Time Bandits, Brazil, Alien, Dance with a Stranger, and Dreamchild. More recent films include Big Night, Joe Goulds Secret, Night Falls on Manhattan, The Fifth Element, A Life Less Ordinary, Bless The Child, Beautiful Joe and the acclaimed lead in Atom Egoyans The Sweet Hereafter. Ian also starred with Dame Judi Dench, Leslie Caron and Olympia Dukakis in the television movie "The Last of the Blonde Bombshells." He stars also in the Hughes Brothers horror-thriller From Hell with Johnny Depp. Appearing in numerous productions with the Royal Shakespeare Company, Sir Ian Holm has earned the Evening Standard Award (Best Actor) for "Henry V" and "The Homecoming," the latter for which he also won a Tony Award (Best Supporting Actor) for the Broadway production. He won rave reviews and an Evening Standard Award for Harold Pinters, "Moonlight." His recent performance as King Lear at the National Theatre won him an Evening Standard Award, and Olivier Award, and the Critics Circle Award. He was nominated for an Emmy Award (Best Actor) for the televised version. Ian has also appeared in dozens of prestigious films for television. In 1998 he was awarded his Knighthood.